It happens to everyone of us when we feel down and stressed. We tend to shop, run, eat, travel, go to the spa, hit the gym or anything that we love doing to redeem us of our self worth. When you're feeling bad, and you buy something good, and you look good, you feel better. As for me, I splurge on things that I love like buying a good book. I always set aside time to read. It makes me a better person I think. Buy a new trainer shoes. Go to the gym when I ran out of breath, because that's the sign that Im gaining weight. Visit Watsons to buy my vitamins and splurge a bit on makeups when on sale. Self-love is a journey. It takes dedication, devotion, and practice. 5. Realize that you’re not alone. So many people struggle with lack of time or will to take proper care of yourself. 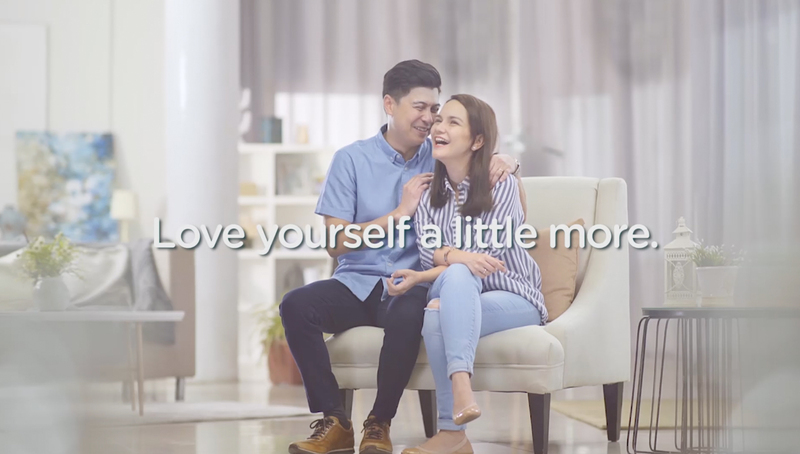 Watsons encourages people to love themselves more to look good and feel great.